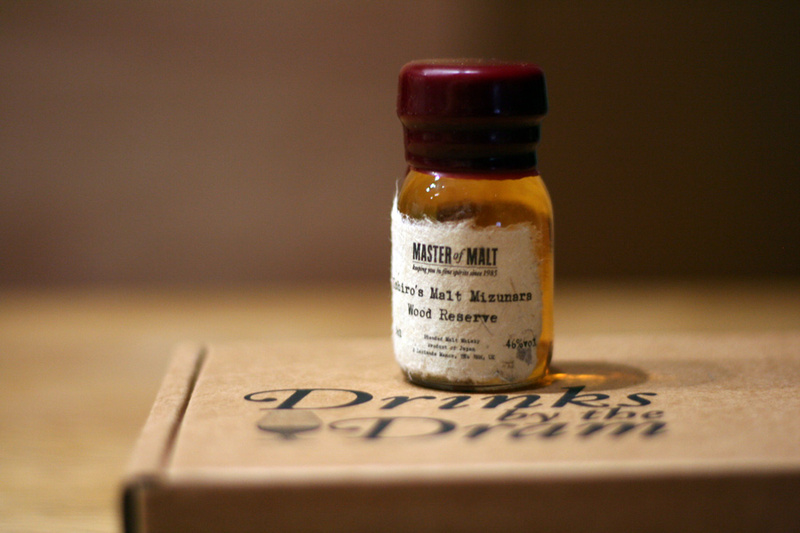 As part of the Dramcember festivities I had purchased 2 Drinks By The Dram samples form Master Of Malt. The first reviewed was the Suntory Hibiki 12yo and now I will close my Dramcember with Ichiro's Malt Mizunara Wood Reserve. I was really looking forward to this as it is one of the vattings made with stocks salvaged from the now dead Hanyu Distillery in Japan. Ichiro Akuto has now gone on to create the Chichibu Distillery also in Japan. For more details about the story of Hanyu and Ichiro, visit Nonjatta. Colour is golden yellow and very clear. The nose has a tendency towards mild floral honey scents, liquorice/aniseed, and cola. Unfortunately there is the obvious rubber car tyres smell typical of sulphur in the mix. Soon after the nose and eyes start to sting from a real hit of the alcohol which gets rather unpleasant. To taste soft sweet butters and spicy spearmint at first, then the car tyres found on the nose, but quickly the alcohol takes over dominating the pallet and a hard acidic metallic tang can be found everywhere. Finish is hot and spicy and lingers for quite some time warming the chest. The burn on the tongue continues well after the heat fades. Overall the metallic tang ruins everything and leaves me not wanting anymore. The nose is the best thing about this and that is not saying much. This is a real disappointment and I have to give a dram of 4 out of 7. I am glad I purchased this as a Drinks By The Dram and did not waste money on a full bottle. One dram was certainly enough. Watch out for this one and if you don't like sulphur, nail polish, and metal in your whisky then pass this one over. I have to say though being able to by small samples prior to buying a full bottle is great!